About two weeks ago, Daniel Moore received a cryptic phone call. The 57-year-old resident of Newton Falls, Ohio was told that a billionaire philanthropist from California wanted to meet and have dinner with his family. Moore pressed the person on the other end of the phone to reveal his employer’s identity. While the staffer refused to give a name, he teased that 90% of Americans use his boss’s product every day. Moore agreed to the visit. A few days later, another staffer showed up at Moore’s house for a “preliminary visit.” He walked around Moore’s property, took pictures, and asked to come inside and help decide where his boss would have dinner with Moore’s family. After a few more days of planning that involved the billionaire’s staff arranging the dinner menu and catering from a local restaurant, another employee arrived at Moore’s house on the evening of the planned visit. Moore was informed that the identity of his mystery dinner guest would be revealed just 15 minutes before he arrived. And like clockwork, 15 minutes after Moore was finally told the name of his guest, a convoy of black SUVs drove through Moore’s quiet neighborhood, pulled into his driveway, and parked in his front yard. Facebook’s 32-year-old CEO has given himself a personal goal of visiting the roughly 30 U.S. states he hasn’t been to yet by the end of 2017. The reason why? To “get out and talk to more people about how they’re living, working and thinking about the future,” he wrote in a Facebook post from January. Moore, who works in a Russian-owned steel mill as an engineer, described Zuckerberg as a “real down to earth, outgoing guy” with “good manners” who asked to take his shoes off before he entered the house. The guest list included Moore’s wife and kids, as well as a few local friends. Moore wanted to seat the Facebook CEO at the head of the table, but a staffer told him that Zuckerberg preferred otherwise. “He does not feel comfortable at the head. He likes to be surrounded by people,” Moore recalls being told. So instead Zuckerberg sat at the middle of the dining room table, with his staff in the kitchen, pecking away at their laptops during the meal. 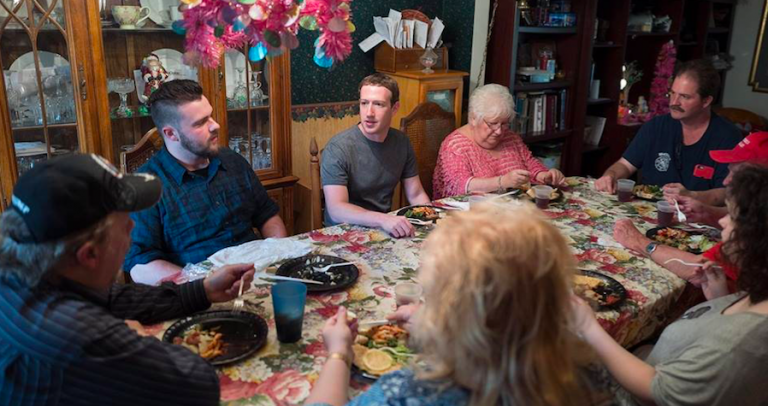 As everyone ate dinner over plastic plates, Moore asked Zuckerberg to explain what brought him to northeast Ohio. The elephant in the room quickly became President Trump. Moore is a self-described political activist and independent who voted for Obama twice before voting for Trump. His wife Lisa is a school teacher who also voted for Trump on his promise to abolish Common Core. After Zuckerberg asked them why they had voted for Trump, Moore turned the tables and asked if Zuckerberg had spoken with Trump since he was elected. Zuckerberg, who was noticeably absent from Trump’s meeting with tech leaders in December, said he had in fact talked with Trump multiple times on the phone. Zuckerberg’s statesman-like, cross-country tour immediately sparked more speculation that he was preparing to run for president, a rumor that’s refused to die over the past year. Zuckerberg has helped fuel the speculation by regularly posting photos on his Facebook page that look like they’re from a campaign trail. He’s been photographed working the assembly line at a Michigan Ford factory, hanging out with firefighters, and even feeding a calf on a farm in rural Ohio. But if there’s one message Zuckerberg and his dozens of staffers want to get across, it’s that this U.S. tour is not an elaborate publicity stunt designed to set the stage for his eventual run for office. After his surprise dinner with Zuckerberg last week, Daniel Moore said he was instructed by the CEO’s spokeswoman to “hammer home” to anyone who asked that Zuckerberg had no aspirations to make a presidential bid. Even still, Zuckerberg has surrounded himself with numerous former government officials who accompany him on his trips. Amy Dudley, the chief spokeswoman for his philanthropic fund The Chan Zuckerberg Initiative, was previously the communications director for Hillary Clinton’s running mate and Virginia senator Tim Kaine. The Chan Zuckerberg Initiative’s director of travel operations, James Eby, previously served in the same role for the Department of Defense. The list even extends to Zuckerberg’s personal photographer, Charles Ommanney, who worked for the White House during both Obama terms. The eight bodyguards and roughly half-dozen aides who accompanied Zuckerberg to Moore’s house for dinner were all identified as former Secret Service members, Moore told Business Insider. Zuckerberg himself has publicly said that he has no plans to run for president. He shared the same sentiment in private to Moore and his family over dinner last week. Clad in his trademark gray T-shirt, Zuckerberg discussed his remarkable journey from the Harvard dorm room where he created Facebook thirteen years ago. “Never in my wildest dreams did I think Facebook would be where it is today, I never expected to make this amount of money,” Moore says Zuckerberg told him. Zuckerberg has committed to giving away 99% of his roughly $60 billion net worth through the Chan Zuckerberg Initiative, which he runs with his wife Priscilla Chan. He’s so far invested in education startups and pledged $3 billion to aide curing the world’s diseases. A Chan Zuckerberg spokesperson said that while some of Zuckerberg’strips are organized by Facebook, many are organized through his fund as a way to see potential areas of investment. 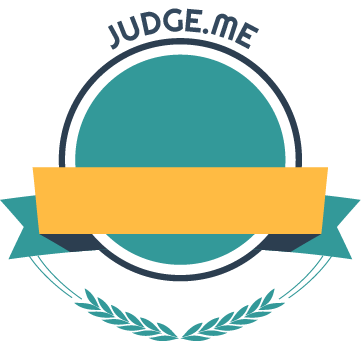 “The chance to meet people in communities across the country informs work being done by the Chan Zuckerberg Initiative to advance human potential and promote equality in communities across the country,” the spokesperson told Business Insider. 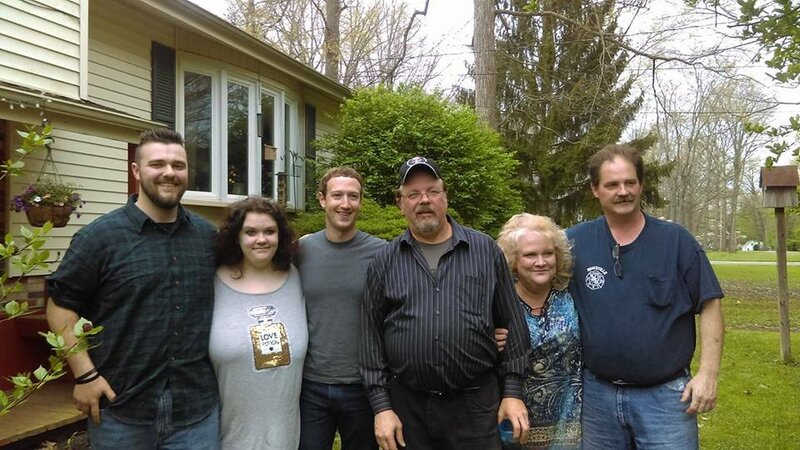 Zuckerberg’s visit to Ohio last week included a community college’s machine learning lab, an opioid addiction clinic, and a juvenile detention center, according to the spokesperson. Each of the stops could be seen as hints towards areas of future investments. The spokesperson declined to comment on the specifics of what Zuckerberg said at Moore’s house or why they were selected for a visit. While Moore admitted to knowing little about Zuckerberg before the visit, he says he is a frequent user of Facebook. And he’s now one of the CEO’s 90 million followers on the social network. “There’s a lot more to Mark Zuckerberg than just Facebook,” he said.